Home › New Apostolic Reformation (NAR) › The history of the Carpenter’s Home Church. “In March 1993, Karl Strader invited South African evangelist Rodney Howard-Browne to lead a revival at Carpenter’s Home. 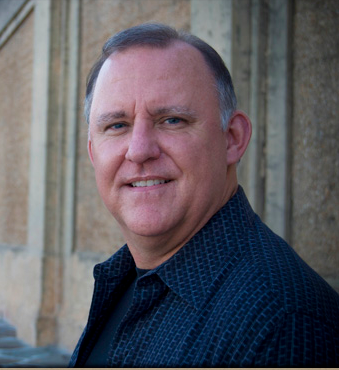 Howard-Browne, now pastor of The River at Tampa Bay, a church in Tampa, is a proponent of holy laughter, and he led 16 weeks of revival services during the following 10 months, with some weeks off. “It was a terrific revival. We had about 3,000 or 4,000 a night. The radio station would play the services, and that just had people laughing. People thought we were out of our minds,” recalled Karl Strader. It did attract worldwide attention, Stephen Strader said, but it took about six months. Carpenter’s Home had a TV broadcast, but it was only one hour a week. “We didn’t have Internet. There was no media coverage, no e-mails,” he said. For those unfamiliar with the history of the New Apostolic Reformation (NAR) cult, the Carpenter’s Home Church played a significant role in the development of the NAR. Karl Strader with Rodney Howard-Browne at the Revival in Carpenter’s Home Church. The Estates at Carpenters—the Life Care facility dad lives in—was a $50 million project that was done next door to CHC a few years after CHC was built. Dad was the founder and chairman of the board until a few years ago. The Estates is one of the nation’s award-winning Life Care facilities today. It has won many awards, and is growing and thriving. Dad was recently honored for his 25 years (not sure of specifics) of outstanding leadership as the chairman/founder. He now is just a resident, though they all still honor him. Evangel Christian School, housed in CHC property (in the remodeled Carpenter’s Home Retirement Center which will be the only building not being torn down), was really was the dream of my mother that began in the late 1960s as a daycare, and was a fully functioning all grade school by the time we closed the doors. It was one of the first private schools to have full contact football. Many leaders have come out of that school, in all seven cultural mountains of influence. Interestingly, it was one of the two major controversies between Jimmy Swaggart and my dad. Jimmy hated the contemporary Christian music and he railed on my dad for over six hours before the denominational leaders here at the state headquarters in Lakeland. Jimmy also hated the fact that my dad loved the charismatic Catholics. You would have to ask dad what was said in those meetings. CHC also housed the birthing and first five to eight years of the Assemblies of God Health Care Ministries. It was birthed by one of our deacons, Dr. Paul Williams. It was the first medical missions department of the Assemblies of God, and it is thriving today! They moved their headquarters to Springfield. CHC ministries, under my dad’s leadership, also birthed John Jacobs and the Power Team, Grandmaster Ed Sell and the Sell Team, which was a martial arts team that preached the gospel. To date, it is the only Christian team like it to perform for many years at nearly all of the major military installation across the USA, winning thousands of military men to Christ. Between these two groups and the many “copy” groups, there could be as many as a half-million people swept into the kingdom of God. Chuck Norris was impacted greatly at a Power Team exhibition, and featured it on one of his television shows. Ed Sell recently passed away, but his wife, Brenda, now also a Grand Master worldwide, is carrying on the ministry. It has made an incredible impact. Brenda is now the highest-ranking, non-oriental Tae Kwon Do master in the world. (I think I got that right). Brenda also helped us with our dance ministry of CHC. She and her team taught hundreds of men, woman, boys and girls the art of worship dance. Interestingly, the worship dance was one of the major sources of contention in the church split. Yet today, the Assemblies of God includes the worship dance in its fine arts competitions. Hmm. The only other conflict with our denomination has been in the areas of deliverance and the prophetic. Dad wrote a “white paper” for the denomination regarding deliverance, and it’s my understanding they “accepted” it, and I think they published it. We still have a very strong deliverance ministry in our church today. The prophetic movement, primarily promoted by Bill Hamon, has always been filled with controversy and is well documented in Charisma. But it really never was a problem after the church split. Ironically, the denomination has been nearly silent towards us about anything controversial since 1989. They were even very supportive of me during the 2008 outpouring, when I met with 150 executive leaders of the Assemblies and they laid hands on me, praying for me, as I did my best to clean up the fall out from Todd Bentley leaving town. It all turned out well for my church. So, I really don’t see “conflict” with the denomination as being a reason CHC didn’t continue. CHC video productions had a large impact around the world. Larnelle Harris did his first full video concert at CHC. Many artists followed that concept. This was long before video concerts were a frequent part of Christian television or product sales. The list of video products that came out of CHC is huge. Integrity Music did Sing Out with Ron Kenoly, and it went around the world. Thurlow Spurr did amazing productions with a 600-voice choir patriotic theme. Greg Buchanon, the world-class harpist; Dino Kartsonakis with his multiple grand pianos, Ballet Magnificat and Brenda Dykgraaf, the famous aerobics exercise champion—the list keeps growing in my thoughts. A funny yet sad story—when we were video-taping Brenda Dykgraef’s exercise video, all of her team were in their aerobics dance outfits, so the deacons of our church told the congregation that we had “scantily clad woman” dancing on the stage! Neither the congregation nor the deacons bothered to ask what we were doing. They didn’t know either that Brenda was a Spirit-filled woman of God, outspoken in her faith, member of an Assemblies of God church, who would later go on to be the spokesperson for the Ab Roller on Home Shopping Network. The exercise video was never sold, but was used to get her the position with the network. CHC dramatic presentations were powerful and evangelistic, with live animals, flying angels, staging and lighting that was unprecedented in the USA. There were a few churches, but not many, that did the huge productions. Who can’t even count the thousands that were swept into the kingdom each year. We estimated one year that over 250,000 people attended the concerts and dramatic presentations. The State of Florida gave us a sign on the exit of the Interstate 4. We were told we were the only church to have such a sign. CHC was heavily involved with helping to birth contemporary worship throughout the entire globe. We were among the first to use the large video screen image enhancement so people could read the words to the songs, and see the people on stage up close. This was back in the day when most churches used over-head projectors in a corner. Several times we hosted the International Worship Symposiums and many conferences and events involving worship. CHC productions produced the videos for Rodney Howard-Browne when he came in 1993 for the revival. Australia Hillsong Church was dramatically affected by the VHS video tapes we sent. Then Rodney went to Australia, and revival blanketed that country as well as New Zealand. The videos swept across Alaska, the Dakotas, and across the USA, and multiple evangelists were impacted, and the whole revival culture of the 1990s was birthed. Few know that Randy Clark from Toronto Blessing came to CHC for a week, days before he went to Toronto and started that revival that swept around the world. Few know that John Kilpatrick and his wife would get up at 5 AM on Sunday mornings to watch TBN services from CHC and cry out for revival in Brownsville. I’m told that the revival actually began when John’s wife’s prayer group got hit with the laughter, and then John got hit by the power in a restaurant, weeks before Steve Hill came to Brownsville. Few know that Joyce Meyer, Marilyn Hickey, Happy Hunters, Richard Roberts and Kenneth Hagin Sr., were all dramatically impacted by the revival with Rodney that flowed out of Lakeland’s CHC. Steve, I’m not trying to “toot my dad’s horn” … I’m just trying to help people understand what an impact CHC and my dad’s ministry had on the body of Christ. Dad rarely gets any credit for any of this. And it wasn’t just Dad, it was a large team of men and woman he surrounded himself with who today are still making a large impact in their individual ministries or projects. International Media Ministries and STAR media ministries—the two major media ministries of the Assemblies of God—were birthed out of my father’s ministry. IMM has had a global effect on the body of Christ. STAR is closed now, but for over 20 years it rocked Latin America with the gospel with over 250 children’s programs that are still distributed today. CTN with Bob DeAndra, was birthed using the CHC production team. Our head engineer is still with CTN today. I could keep going … The Idea Exchange for ministers he started, it’s still going today under the leadership of Ken Gaub. The church split of 1989 wasn’t just about the “charismatic excesses”; it was about the horrible economy, worse than it is now—and its impact on the church finances—that caused the trouble in the first place. The economy tanked in 1987, just two years after we opened. The bottom line? The devil got into people and they became fearful. Dad didn’t “overbuild” … we were a growing congregation of over 4,000 in 1983. In church growth, people told us, you build for 50-80 percent larger than what you are now. Yes, CHC was built for 10,000, but we only built out the 6,000 seats on the main floor. We never finished the 4,000 seats or bathrooms in the balcony. So we didn’t overbuild. The price of building the facility was way UNDER budget for square footage than nearly ALL of the other megachurches in the USA at that time. Other pastors were amazed when they found out how little we spent on the building. And the property was free and clear of a mortgage before we started construction. When we had major events, we simply rented port-a-johns and placed them outside. We would rent chairs and put them in the balcony on the bare concrete floor. So, the unfinished balcony was a “temporary overflow” prepared for expansion. Dad was one of the first evangelicals to hold multiple services on Sunday. We had six per Sunday for a long time, but then when we built for a 1,700-seat auditorium, he cut back to five! Even when we moved into the 10,000-seat building, he did three! So he knew how to use a facility. Plus, CHC got a national award for outstanding achievements for its ground breaking computerized energy management system we created. We were one of the first in the world that used generators to run electricity during peak-demand. This cut our energy bill by 50-60 percent monthly. The president signed the award. People across the nation used the concept. Today, few churches are built without an energy management system. CHC filled the 6,000 seats on the main floor routinely. CHC filled the entire building at least once per year, and often more, nearly every year of it’s existence. Benny Hinn put 12,000 inside with over 10,000 outside about a year before we closed it. When Todd Bentley came in 2008, we offered to rent the CHC facility from Scott Thomas of Without Walls Central, who was the pastor in the CHC facility at that time, but he could not handle Todd’s preaching about angels, so we had to move the Lakeland Outpouring out to the airport and build a 10,000-seat tent which we filled nearly ever day seven days a week, for many weeks. Today, Lakeland has about 120,000 residents in a five-mile radius. Yet, today, there are four megachurches in greater Lakeland, and two more that hold more than 2,000. There are several more over 1,000. So I would argue, he didn’t overbuild. This is a Bible Belt community. Dad reached out to the other ministers in the region constantly. We have identified some 16 churches that were birthed directly or indirectly from CHC/Karl Strader, here in the Lakeland area, and today, most are in a good relationship with Dad and me. The problems with CHC, controversies and splits, really had nothing to do with his relationship with the denomination or other pastors in the city. Dad served faithfully in leadership in the denomination up until the church split. They recently honored him for his 50 years in the denomination. When Mom passed away last year, nearly every significant minister in the greater Lakeland area came to the service or made sure we were notified of their love. The Assemblies will be honoring my mother’s passing this year in the statewide district council. Dad and I both are very welcome in any of the ministerial associations, denominational meetings and projects across Central Florida. So, I don’t think that’s what brought CHC down. I believe that God used my dad and those of us who ministered beside him, to pioneer and break new ground in many areas for the body of Christ worldwide. Often those on the forefront get hammered. Even my brother going to prison—he had nothing to do with our church leadership. But the media blasted my dad and our church. He was just a member of the congregation. But the media put it all on my dad. That’s hard to fight. When we sold CHC facilities, we strategically gave the congregation two locations to worship in. It wasn’t a split. Most of the congregation remaining came with me to Ignited. We began with about 350. We now have about 500 and we are growing again. Auburndale Life started with only about 50 people. But my brother in-law, Shane, who recently passed away from cancer, grew that church to over 700. And the new pastor, David Melendez, has that church growing again. Interestingly, David has ties back with CHC when he attended Southeastern University. Yes, CHC was an “era” that might be over in the natural, but the legacy of ministry continues to grow all over the world. There is no shipwreck here. Even my brother is a model prisoner, involved in ministry, where he is incarcerated. He actually got his master’s degree in Theology and working on his doctorate. Your taxes are paying for my brothers room and board, by the way. It costs over $45,000 each year to hold my brother in prison. It would only cost $8,000 to put an ankle bracelet on him. Just thought you should know. He is the only white collar criminal in the USA that we know of that has been handed two 45-year sentences and, after 21 years in prison, he has served longer than any white-collar criminal in history. Clearly, my life was and continues to be impacted by my dad and my involvement with CHC. This November, a friend of mine and myself are spearheading an evangelism explosion of the entire country of the Philippines (philippines4jesus.com). As far as we can tell, nearly every single major Christian Ministry in the Philippines has become involved or expressed an interest of involvement! We are taking 150 preachers and invading the country for two weeks. We are visiting 30 major cities—eight locations in the city of Manila itself. Nearly 50 significant ministries in the USA are assisting us with resources and preachers. The era may be over, but the legacy continues. And, the kingdom of God is advancing. And Dad has now written two more books! All of my dad’s four children are saved, filled with the Spirit, and working for the Lord. Nearly all of the grandchildren are serving God. A few are building their testimony. My mom and dad kept their integrity and their sweet spirit through all of the adversity and challenges and betrayals. Dad still ministers over six times a week at 85 years of age. Plus, he preaches twice a month in the prisons. Dad routinely helps me with funerals, prayer times, offering times, and communion times in my church. He serves as one of my associate pastors in charge of our senior adults. He teaches my adult Sunday school class every Sunday morning and does a chapel service on Sunday afternoons for those who can’t drive after dark. The CHC megachurch building era may be over … but the legacy of a life and family devoted to God continues. ‹ Playing the ‘Religious Card’.